Here's the second of four recaps from Breaking Into the Box: Kick-Starting Your Career in Television, an all-day seminar sponsored last weekend by the Writers Guild Foundation. Very important disclaimer: these aren't verbatim quotes but rather paraphrases from some hastily-written notes. If you want the real deal, the Foundation had cameras rolling and will soon offer the seminar on DVD. Check their website in the future for details. My thoughts about the seminar will follow on Friday. PANEL: THE ANATOMY OF A SHOW - HOW DOES IT WORK? HOLZMAN: I'm writing feature screenplays now, but if there's one thing I miss about TV, it's being plugged into that very short writing period. RYAN: I wrote the pilot for The Shield thinking it would never get made. Maybe it would fit on HBO but they were developing their own stuff and probably wouldn't bother with mine. This gave me the freedom to write a show that I'd like to watch. When FX gave the go-ahead, it was a baptism by fire: hiring editors, post-production teams, etc. Suddenly you're in charge of a small army, making hundreds of decisions each day, and any single wrong decision can sink your show. CASEY: The development of Frasier wasn't obvious. The original character we created for Kelsey Grammar was a Malcolm Forbes-type magazine mogul who was paralyzed and ran his empire from his bedroom. The network said: are you crazy? You're doing Frasier from Cheers, period! We didn't wanna do Cheers 2, so we gave the show its own look by moving it to Seattle. We wanted as few crossover characters as possible, so geographically we made that option very difficult. We didn't want any other Cheers actors (except Lilith) because we felt our show would suffer horribly by comparison. When we developed Wings, we were frozen at first. Do we start with characters and build the show around them? Or do we start with a place, scenario or forum and then introduce characters into that? LINDELOF: Nobody realizes that a guy like Lance Armstrong is a member of a team. He's able to do what he does because he's got this incredible group of people making it possible. A lot gets written about Carlton Cuse and me, but we only write maybe five episodes each season. We have a lot of great people. That's where we're at now in season 3. Season 1 was a different process because we were building. In Season 2, we lost 80 percent of our writing staff. Many of them were poached by other shows. BRAGA: It's gotta be on the page. You can be great in a writers room but you've got to deliver on the script. RYAN: I disagree. The room is more important. Give me new show ideas. If someone can get the script to the point where I can spend a few hours with a blue pen rewriting it, I'm fine with that. BIEDERMAN: Pecking order is important. As a first-time staffer, I knew my job was doing whatever I could to make the showrunner's job easier. That's what I look for when staffing a writers room. CASEY: One difference to note between writing comedy and drama is that comedy is very immediate. Scripts can be rewritten completely four times a week. RYAN: On a serialized drama, new plot moves and twists can be scary. Killing Lem at the end of last season felt right, but that changed the dynamics between Vic and Shane. You don't know if that new thing is gonna work as well as the previous thing. Vic is currently in unsettled territory because I'm in unsettled territory. LINDELOF: With The Shield, you set up the rules for your pilot and, at the end of it, you broke a rule we were expecting. Lost is not a typical franchise drama because we have to constantly shock and surprise. Often your worst idea, the one that feels the least safe, is the best idea to go with. RYAN: Sometimes a terrible idea can spark a twist or shift that gets you someplace good. BIEDERMAN: With Shark, we're always aware if Sebastian's going too far, but we still try to push things to that edge. If you stay in the same place, the show will just die. HOLZMAN: In TV, are you ever afraid of doing too much too soon? CASEY: Oh yes. Look at Daphne and Niles in Frasier. They didn't even meet until the third episode. We thought it'd be funny if he was smitten with her. We had no idea that would go on for 7 years, and when we'd sliced that as thinly as we could, it was time to move on. BRAGA: It's always amazing when things take over your show that weren't in the pilot. Remember that the Family Ties pilot was originally about the hippie parents, then the kids took over. CASEY: Actors can be good guide posts for that. 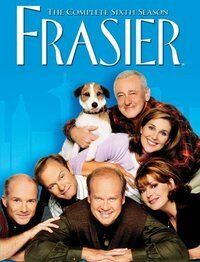 We knew we had gold with Frasier and Niles. Sometimes you don't determine where your show goes, you just move with the flow. RYAN: Just because you've written a great show doesn't mean you know how to cast, edit, direct, etc. Learn to listen to and trust people who know more than you. CASEY: Glen and Les Charles at Cheers taught me a lot after I'd come off The Jeffersons, so I felt fairly comfortable doing Wings. The Charles brothers said: always cast the best actor in a comedy, not always the funniest actor. That's because a solid actor can always find the funny, but a comedian won't always nail those emotional points you're gonna want. LINDELOF: Lost had some characters nailed down from the beginning, others less so. Yunjin Kim auditioned for the role of Kate, we had Latino actors reading for Sawyer, etc. We loved Kim, who we learned is a big movie star in Korea. We thought she shouldn't be Kate, she should be this Korean woman with a husband so we created a character for her. It was the same with Hurley. We saw Jorge Garcia on an episode of Curb Your Enthusiasm and said, he's gotta be in the show. We got to populate our world with these incredible actors. CASEY: It was the same thing with Niles Crane. His character wasn't in the original outline. 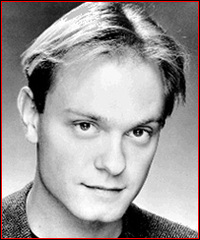 Somebody brought in a headshot of David Hyde Pierce and said, doesn't he look like Kelsey? We watched a Norman Lear pilot he'd done and set up a meeting. We learned that people were already stopping him on the street and asking if he was Kelsey's brother. So we created that character just for him. LINDELOF: What about the retro-continuity you had to pull off on Frasier? Why did he never mention his brother on Cheers? CASEY: That was an issue. A bigger one was when we realized there was an episode of Cheers where Frasier said his dad was dead! So we just had to create our own world. That worked well for the Frasier crossover episode with Ted Danson, where the "dead dad" line became a joke. LINDELOF: Re: continuity. A show like 24 can reset every season. Lost is more like Harry Potter. BRAGA: Continuity can be tough when you've got a very obsessive fan base. They often know the show better than you. It's their show, too. They do have a certain entitlement to the show creatively. CASEY: The Charles brothers were horrible sticklers for repeats of stories not just from past episodes, but from shows as far back as The Odd Couple and even The Honeymooners! RYAN: I drive my writers crazy. I've seen every Hill Street Blues and Homicide and every cop show since I was a kid. I've torpedoed so many ideas so many times ... unless you can put that cool 30-degree twist on it. LINDELOF: Sleeper shows can't happen anymore, so props to NBC for renewing Friday Night Lights. It's a good show. TV premieres are getting more like movie premieres. Some shows are sacrificed early at the altar of the business model. That's because it's a business, which you have to understand. FNL survives as a business decision, despite the fact that it made no money in year one, and probably won't make any money in year two. It's definitely an exception to the rule. RYAN: You have to know what your show is gonna be in episode one. LINDELOF: Now they're asking you for episode 10 as well. RYAN: They used to ask you for a bible. Now they ask for future episode outlines. I have a huge issue with that because they're not paying you for it. It's extra writing work on top of your pilot and there's no compensation. I'm not saying we shouldn't do it, I'm saying they should pay us for it. This is an issue I'm going to bring up with the WGA arbitration committee I'm on. With a serialized drama, how much of a season do you forecast? It's like a cross-country American trip. You know you want to end up in Cali, but the road there is wide open. Maybe you have a stop in the Grand Canyon, maybe elsewhere. LINDELOF: J.K. Rowling writes what she wants and doesn't have to worry about Daniel Radcliffe getting a DUI (laughter). Michelle Rodriguez was written to be a love interest for Jack but was seen as a villain by the audience, so we started writing toward that. Elizabeth Mitchell works now as a love interest. RYAN: You gotta go with whatever happens. 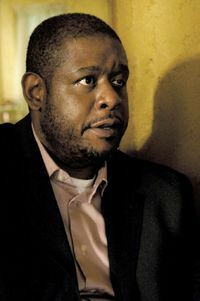 Last season on The Shield, Forest Whitaker's cop is divorced and we talk about it when Ronnie makes a file on him. 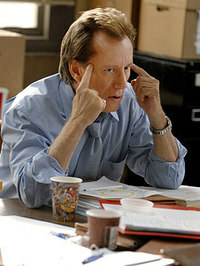 Then somebody pointed out that Forest had been wearing a wedding ring in all his scenes! I was so depressed: WTF? So we got to write about that, why he still wears the ring, that whole weird relationship with his ex-wife. You have to approach such things with integrity and efficiency. Audience Q: How do scripts reach you? What do you like to read? RYAN: I think everybody reads scripts from their own agency first. Second would be those agents who really know our tastes. I like to read original pilots and specs to shows that I know. I hired Kurt Sutter on the basis of a West Wing he wrote. I've hired writers off of plays and short stories. 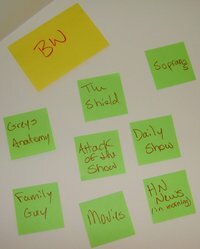 CASEY: Specs of Emmy-nominated shows. I give 'em 10 pages to make me laugh, so don't hold back your good stuff. Front-load your spec script as much as possible. BIEDERMAN: I like reading original pilots, and I encourage spec writers to do so too. CASEY: When you spec existing shows, don't give all the best stuff to a guest-star. Give it to the show's leads. LINDELOF: I don't like to read specs at all. I'm much more interested in the meeting. So many writers do not know how to take a meeting. Do I wanna hang out with you 12 hours a day? You're here -- it's like a date a friend set you up on. You've heard good things, obviously you're nervous, but you're selling yourself. You gotta be. I wanna hear what other shows you're watching, what's in your brain. What's different about you. If you're from Jersey and Jewish and like my show, I'm like: Hey, I'm already here! CASEY: I remember a writer who landed a meeting with a great spec. After "Hello" he talked non-stop for 45 minutes. I sneaked out and got my secretary to create a fake emergency that ended the meeting for my partner and me. You want your meeting to be like good acting. Leave 'em wanting a little more. I couldn't take 45 minutes with this guy, let alone 12 hours a day. BIEDERMAN: As a new writer, you bring something to the table we need. We're tired! We like you already and want you to take our jobs so we can go to Vegas! CASEY: There's nothing we'd like more than for you to break through because you help us. RYAN: There's actually some budgetary pressure to hire new writers, rather than those who are already executive producers. Carlton Cuse was a firm, gentle mentor to me on Nash Bridges and I've tried to take that approach with new writers. HOLZMAN: I was mentored by Marshall Herskovitz and Ed Zwick (after being fired from Captain Kangaroo after writing one script). I welcome meeting younger writers who can help me, give to me, lay down their life for my show. I never want to see a young writer looking really relaxed and unworried. You're gonna give me all you've got, and in return I'll bring out the best in your writing. RYAN: I was trying to get work for years. I had lots of meetings but no hires. My agent showed me a Tim Minear script from The X-Files that was getting him work, and I saw why it was such a hot script. It worked from line one, the structure was right, and these were things my specs didn't really have. LINDELOF: Carlton and J.J. Abrams hired me off a one-act play about time travel they responded to. They weren't that interested in my specs of existing shows. BIEDERMAN: Writers assistant jobs are great. I worked my way up from there on Lois & Clark. This year, my writers assistant on Shark will become a staff writer. Now that I'm running my own show, there's not a day that goes by where I don't think back to some lesson I learned as an assistant.